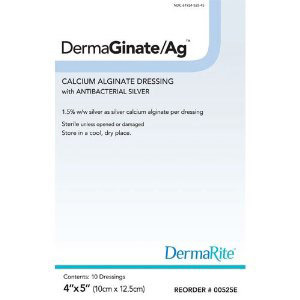 DermaGinate/Ag™ Calcium Alginate + Ionic Silver is designed for use as a topical wound dressing for moderate to high exudating wounds. 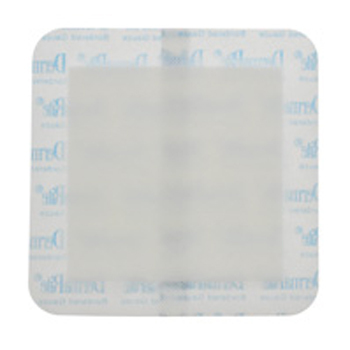 DermaRite Sterile Bordered Gauze® protects the wound surface and is soft and flexible. DermaGinate is a calcium alginate wound dressing designed for use as a topical wound dressing for moderate to high exudating wounds. This DermaCol/Ag is an advanced wound care dressing made of collagen, sodium alginate, carboxyl methyl-cellulose, ethylenediamine-tetraacetic acid (EDTA) and silver chloride. 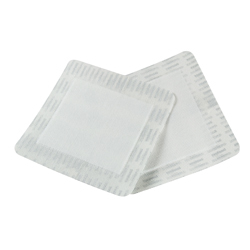 It transforms into a soft gel sheet when in contact with wound exudates. 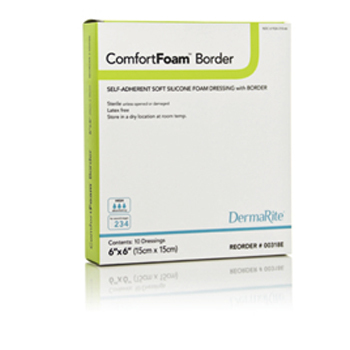 DermaRite Bordered Gauze helps protect the wound surface and is soft and flexible.